CRAZY COOL GROOVY!!! : BEST Of ATLANTA 2017 On ATLANTA MAG!!! 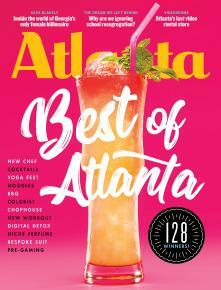 Get the BEST Of ARTS & LEISURE, BEAUTY & FITNESS, FOOD & DRINK, STYLE & DESIGN, and; so Much MORE from the BEST Of ATLANTA 2017 Issue of ATLANTA Magazine!! !